Metromile is a San Francisco, California-based auto insurance startup that provides pay-per-mile car insurance to vehicle owners – particularly those who drive less than 10,000 miles per year. Founded in 2011, Metromile aims to revolutionize the auto insurance industry through its advanced monitoring technology and convenient online platform. The company’s pay per mile insurance policy is designed to make car ownership less expensive and more convenient for urban drivers who don’t drive as much as their counterparts in the suburbs. Presently, Metromile is available in the following eight states: California, Oregon, Washington, Arizona, Illinois, New Jersey, Pennsylvania, and Virginia. However, plans are underway for expansion soon, thanks to the company’s increasing popularity and financial backing from investors. If you’re a city dweller or occasional driver and you don’t mind having your mileage tracked, Metromile might be the most affordable and convenient option for you. Click here to get started with Metromile right away! Metromile offers all the basic and standard policies, from liability insurance to collision coverage, similar to what other providers offer. This covers your medical costs regardless of who is to blame for the accident. This can cover medical deductibles and copays that aren’t covered by your health insurer if you’re involved in an accident. This covers costs related to injuries or deaths to other parties which occurs during an accident you caused. This covers damage to another person’s property from an accident. This covers medical costs for you as well as your passengers if they don’t have insurance. This coverage pays for damages if an uninsured or underinsured driver hits your vehicle. Collision coverage covers costs arising from repairs to your vehicle in the event of an accident, regardless of if you’re at fault or not. You can add the comprehensive coverage and collision coverage, with deductible options at $250, $500, or $1,000. Pet injury protection is included in both of these coverages in all states it serves excluding Virginia and Illinois. It provides up to $1,000 in pet injury coverage at no extra charge – a benefit only a few auto insurance companies offer. Metromile has also has all of the additional add-on options you would expect from other insurance companies, including rental reimbursement, roadside assistance, and collision deductible waiver. 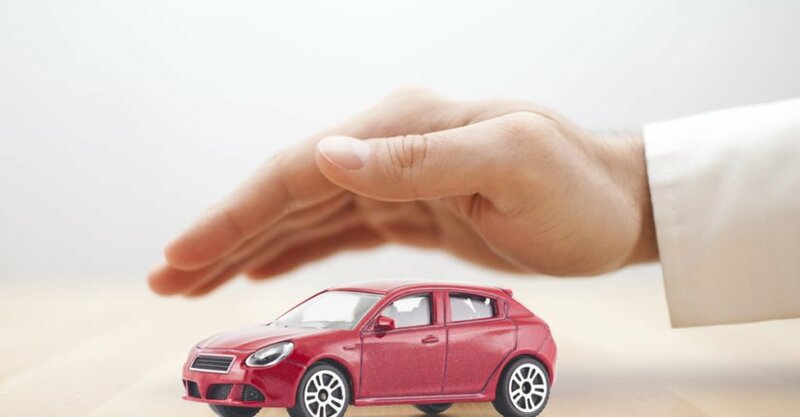 If your vehicle is in the shop due to a claim, and you have collision and comprehensive coverage, Metromile will take care of the bills you’ll incur to rent a car – up to $30 per day. Metromile can pay for a tow truck or other help if you’re stranded on the road with a flat tire or you’re locked out of your vehicle. Want to know more about Metromile’s coverage, check out their website! Once you sign up with Metromile, they’ll send the Metromile Pulse which tracks your mileage. The small free wireless device plugs into your car’s onboard diagnostic port and relays your driving data to Metromile’s system. Unlike other usage-based auto insurance providers, Metromile does not rate its premiums based on your driving habits like speed, cornering, or braking. Metromile has a mobile app you can use to check your mileage as recorded by the Pulse device. It is not compulsory to use the Metromile app, but its many features make it quite useful. You can also use the Metromile app to view your auto insurance ID cards, policy documents, vehicle’s location, learn about what your car’s check-engine light means and the nearest place to find a mechanic, and many other features. These features can be disabled if necessary. However, the mile tracking cannot as it is vital for rating your policy. Regarding the pricing, Metromile car insurance rates have two parts: a base rate and a cost per mile rate, usually a few cents per mile. The base rate which is paid monthly is calculated using standard factors like your driving record, the type of car you drive, where you live, and the type of coverage you want. Just like any other insurance company, applying for the full coverage over basic usually doubles the cost. Also, young drivers or those prone to accidents will get a higher base rate. Metromile calculates the base rate on a per day basis, so the length of days in a month also affects your billing. On top of this base rate is the cost per mile rate which is determined by the information relayed by the Pulse device. Your monthly premium will be different because of the per mile rate. The breakdown of the bill reveals the next month’s base rate, calculated based on the number of days, plus the cost per mile for the past month. For instance, your bill at the end of December will include a base rate for the 31 days in January, plus your mileage in November. Assuming you have a base rate of $50 every month and your cost per mile is 5 cents. If your mileage in November is 450 miles, your premium at the end of December would be (450 * $0.05) + $50, which equals $72.5 ($22.5 + 50). As mentioned earlier, the cost per mile ensures that no two bills can be the same, which may be a disadvantage for individuals who prefer to have a specific monthly bill. There is a guarantee that the rating amounts: the base rate and the cost per mile, will not change during the 6-month policy duration except you change your policy. To accommodate for your occasional longer drives – such as road trips – Metromile has put a cap on the number of miles it’ll charge daily at 250 miles in all of the eight states it serves apart from New Jersey (150 miles). So you need not fear to rack up huge bills when you make that road trip – try not to make it a regular habit. The system is designed to provide lower rates for those who drive less than 10,000 miles per year via its pay-as-you-go insurance. However, if you drive long distances, the cost per mile can add up, and Metromile would be a more expensive alternative to other insurance providers. Click here to learn more about how Metromile works! In a bid to keeping up with recent technological advancements, Metromile provides more than one alternative for filing claims. You can file your claims online via the Metromile website. You can also file claims using the Metromile app; the automated claims processing enables you to upload data directly from your Pulse device. The Metromile app doesn’t just start the claim; it also allows customers to finish the entire claims processing. For trivial cases, Metromile claims can be handled without needing a representative to supervise it. Metromile also offers a 24/7 claims service – you can file your claim at any time, but it may take a while before an agent gets back to you. When they eventually attend to you, Metromile provides you with dedicated claims personnel who will guide you through the claim process. You can file your claim over the phone at 888-595-5485. The email address, claims@metromile.com, is for all inquiries relating to an existing claim, and not for filing claims. If you’re in need of roadside assistance, the phone number to call is 800-983-3400. Metromile provides many options to choose your repair shop from, but you can decide to settle on any shop based on your preference. You can monitor the status of your claims using the Metromile app, or by calling the claims center, or by using the email address provided above. Click here to get more information about Metromile claims! Information on how fast you drive or how you apply your brakes doesn’t influence your monthly bill. You can have a good idea of what you’ll pay using the Metromile app to track your mileage. You won’t incur huge bills for driving for more than 250 miles in a day – as long as it’s not a frequent occurrence. Apart from helping you to save money, Metromile also offers cool features with the Pulse device. You can monitor your speed on trips, cost of gas for your trips, and even where you parked your car last. The app can also alert you to city-specific street-sweeping and parking reminders. You can use the Metromile app to understand what your check engine signal means. The app also offers the location of the nearest mechanic to help resolve the issue. If you’d rather not share information regarding your location and your driving patterns, you can always switch off the GPS locator on the Pulse device. You won’t enjoy the extra features it provides, but it will still give you the mileage tracker that’ll be used for your insurance bill. You can either file a claim online or call a toll-free number at any time to report your policy number, details of the accident, information of those involved in the accident. Feel Metromile is just right for you? Get started right away! Although plans are underway for Metromile to expand, presently, the company only services Arizona, California, Illinois, New Jersey, Oregon, Pennsylvania, Virginia, and Washington. Older cars that do not have an OBD-II port to accommodate Metromile’s mandatory mileage device cannot be insured. If your vehicle is less than 20 years old, chances are you already have an OBD-II port. Metromile boasts of a 24-hour claims processing center, but, there have been many concerns on Metromile reviews concerning the speed at which claims are answered. Some have given instances of having to wait a couple of months before getting an update on a car that needs repairs after an accident. These cons shouldn’t stop you from giving Metromile a shot. Click here to dive in! Metromile has held an official accreditation by the Better Business Bureau since 2013, despite the auto insurance company starting up in 2011. The company also has an impressive A+ score based on 176 customer reviews, a majority of which only have positive remarks – a feat which is rarely seen in the auto insurance industry. Within the past three years, there have been 42 filed complaints, 13 of which were closed within the last 12 months. The frequently occurring complaints were regarding rate increases every six months, and there were other complaints about the time it took the company to attend to claims. On the flip side, the majority of customers pleased with Metromile’s services, especially occasional and low-mileage drivers, talk about how much money they’ve been able to save, and how good their customer service experience is. Metromile attends to every issue raised in the reviews, either positive or negative, which is something unusual for most insurance companies. The volume of complaints the company has to deal with is not too high for a company of its caliber, and the positive reviews show a right balance in the company. The negative reviews online are not always justified. Many of these negative reviews are sometimes borne out of the customer’s lack of understanding of the underlying principles guiding the insurance policy as well as the type of coverage selected. Click here to learn about Metromile’s policies and determine if it’s a right fit for you. If you’re a car owner who doesn’t drive too often, or you work from home, Metromile could save you a great deal of money every month. With its innovative technology, online platform, and extra features, Metromile makes it very convenient for people to use their services without stress. Do a quick check on your average annual mileage and compare your fees with traditional insurance companies. If your mileage is reading less than the 10,000-mile mark, you should seize the advantage of paying for what you use and make the switch to Metromile auto insurance to save money.